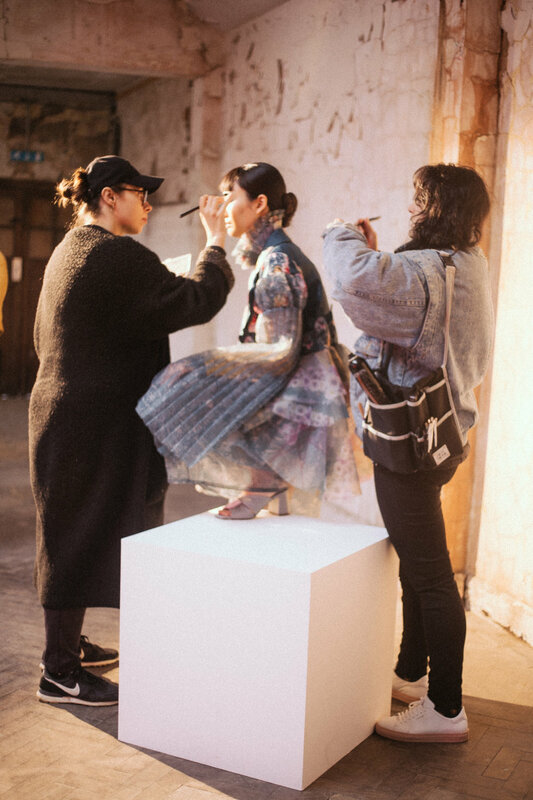 Take a look behind the scenes of the GFW19 official photoshoot, which took place this week at the home of Graduate Fashion Week, the Truman Brewery in Shoreditch. London’s rainy skies couldn’t dampen the energy of seven influencers, two models, twelve students from around the country — who supported as styling, hair, makeup and photography assistants — and an amazing team led by fashion photographer Erika Astrid and stylist Jennifer Martens. Check out our behind the scenes photos shot by Olivia Ferrara-Forbes and Jade Berry. Stay tuned for the release of our official campaign images soon!